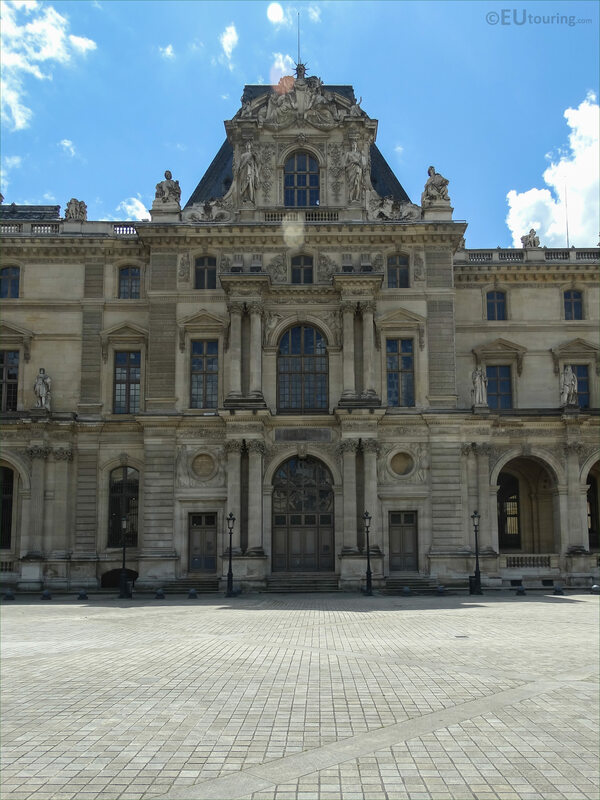 We were at the Musee du Louvre in the 1st Arrondissement of Paris, when we took these high definition photos showing a sculpture called La Prudence et la Force, which was produced by Victor Edmond Leharivel-Durocher. 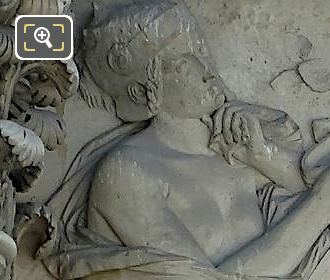 This first HD photo shows a bas relief, or low relief sculpture surrounding a porthole window on the former Palais du Louvre, which is called La Prudence et la Force, or also La Prudence et la Fortitude. 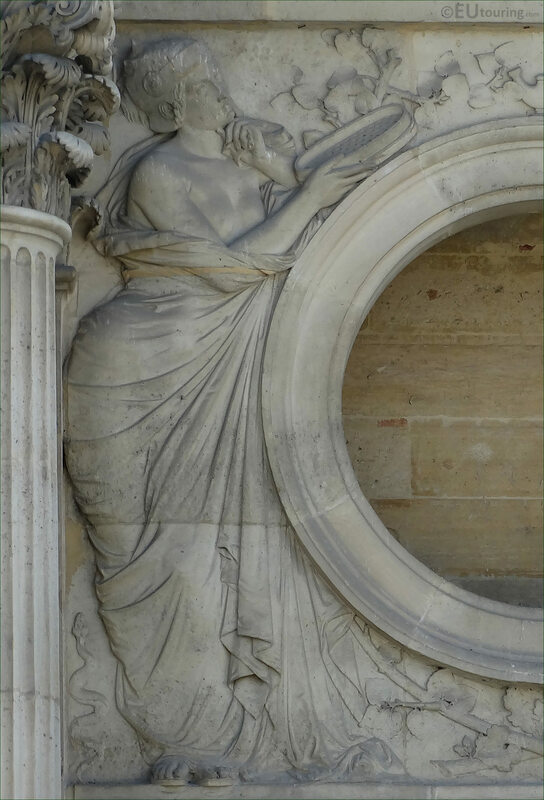 Now here you can see the left hand side part of the bas relief sculpture depicting Prudence, which is another term for wisdom, judgement, sense or advisability, that was sculpted by Victor Edmond Leharivel-Durocher, who was born in 1816 and studied under Augustin Dumont and Jules Ramey to become a French sculptor. 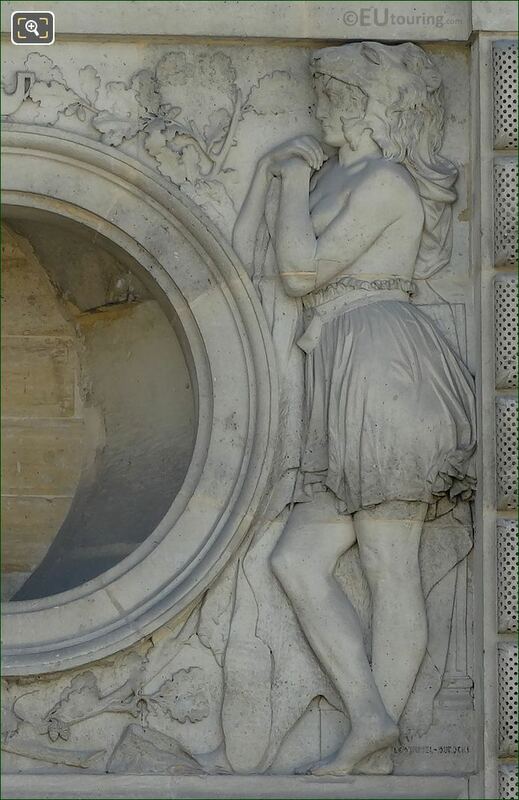 Yet this next image shows the right hand side of the bas relief depicting Force or Fortitude, although we do feel that due to the way the female figure is standing, Fortitude is more logical, being that this is another term for strength of mind and character, resilience, bravery and courage in spirit. 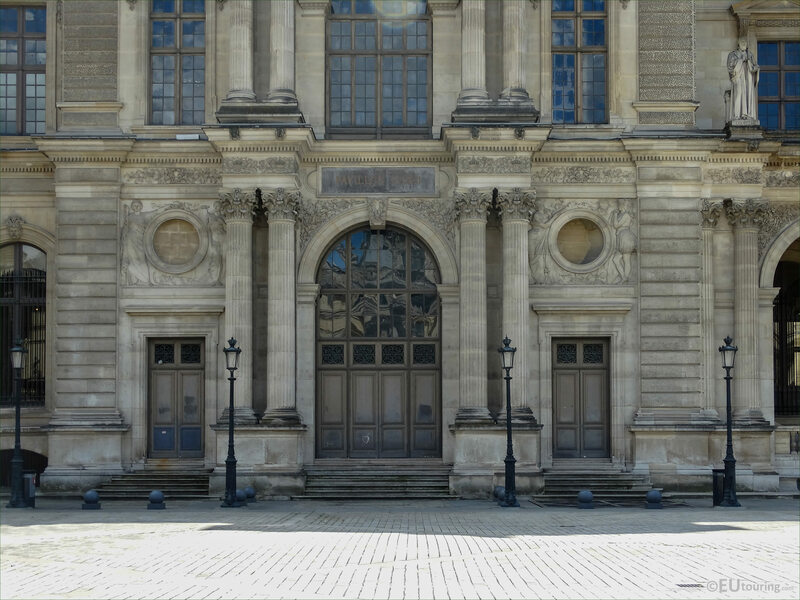 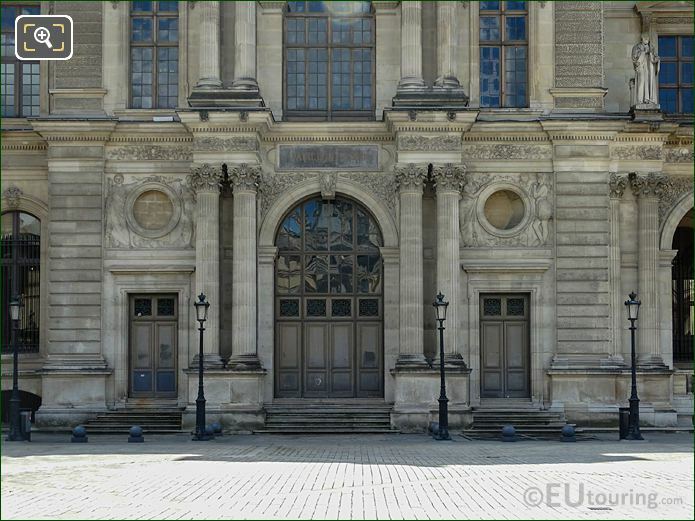 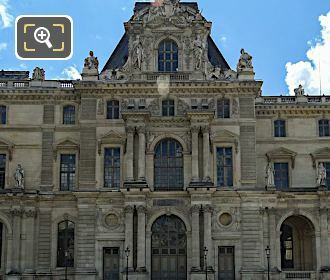 However, in this photograph you can see the lower level of the north facade of Pavillon Daru, and you will find this particular sculpture positioned around the right hand side port hole style window of the Louvre Museum, as you are looking at the facade from the Cour Napoleon. 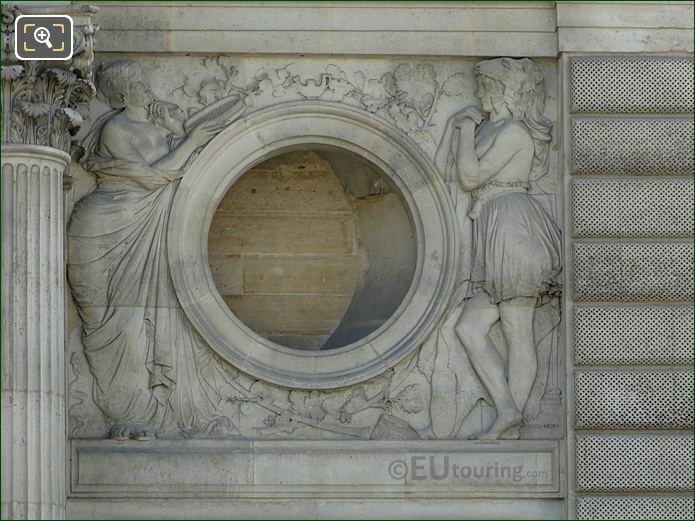 Although this picture shows the entire ornate facade of the Pavillon Daru with La Prudence et la Force relief. 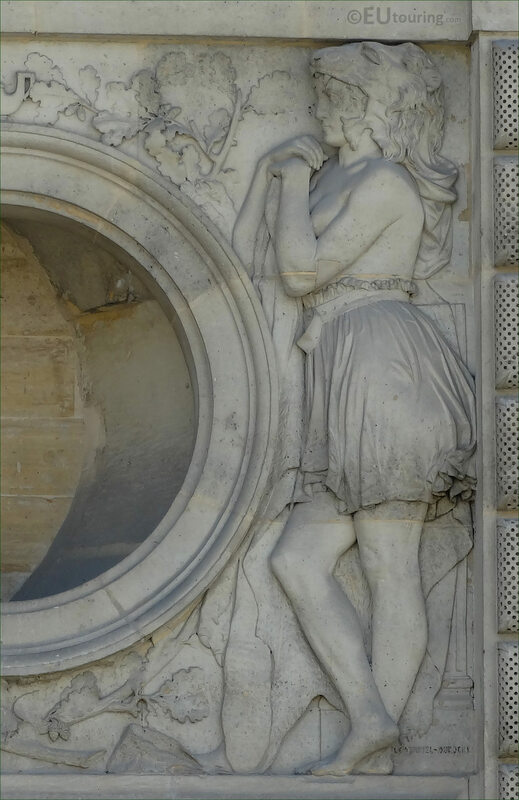 But getting back to the French sculptor Victor Edmond Leharivel-Durocher, he was actually commissioned for two of the porthole sculptures on The Louvre, yet many of his works were for different churches, although his monument to Visconti in Pere Lechaise cemetery is probably his most well known work.